The Western Cape High Court on Thursday rejected an appeal application by the Passenger Rail Agency of South Africa (Prasa), maintaining its original judgment that the agency is liable for the injuries and compensation of a man who was pushed from a moving train during a robbery on Cape Town's northern line in 2011, GroundUp reports. 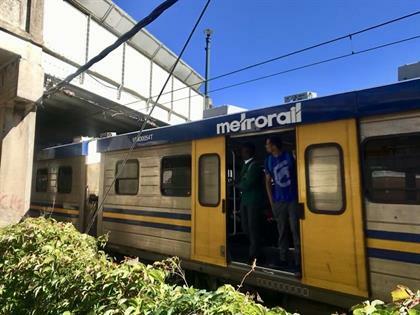 On November 16, 2017, Acting Judge Janet McCurdie ruled that Prasa was "negligent" and that Masibulele Rautini would not have been injured "had Prasa ensured the doors were kept closed". She ruled that Prasa would have to fully compensate Rautini for all damages suffered. Prasa applied for leave to appeal the ruling in February 2018, but this was denied on December 6. Rautini is 28 years old and his injuries have made it impossible for him to work. He has been on a disability grant since 2012, from which he currently receives R1 600 per month. "I am very happy [about the judgment] because I have been struggling," Rautini told GroundUp. "When I got injured my life stopped... It is not nice to go from being able to do everything for yourself to being in a wheelchair." Rautini said he has pins in his leg and although he doesn't need a wheelchair anymore, he now has a permanent limp, can only walk short distances and can't stand for very long. He said he worked as a gardener before the accident. Potgieter said the matter would now be re-enrolled on the pre-trial roll so that Rautini's compensation can be determined. "They must compensate my child, for a young person not to be able to work and live on a grant is not nice," said Rautini's mother Nobongile. "I can see it hurts him... This is a struggle, life is a struggle … I want my child to be able to have the life he deserves." On November 26, 2015, the Constitutional Court dismissed a Prasa appeal in a case similar to Rautini's. Constitutional Court Chief Justice Mogoeng Mogoeng wrote in a unanimous judgment that Prasa had failed to perform the "mundane" and "obvious" task of keeping the doors of its train carriages closed while they were moving.